Over the Thanksgiving holiday my wife and I visited friends along the Mississippi Gulf Coast. The mutual friends knew about my keen interest in American history and had planned an excursion accordingly. 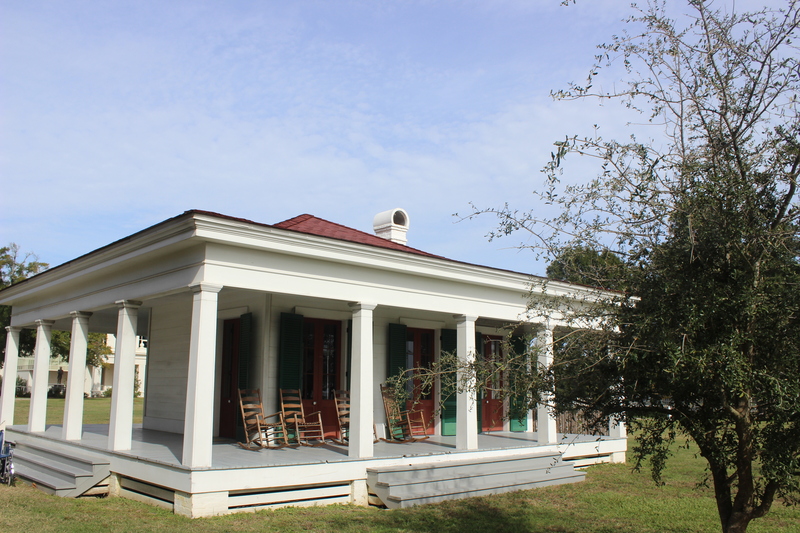 Within a fifteen-minute drive of where we were staying, sits Beauvoir, the last home of Confederate President Jefferson Davis. In 1877, the ex-Confederate president, looking for a quiet place to write his memoirs of the Confederate cause in the American Civil War, paid $50 a month to rent what is known as the “Library Pavilion” on the property. Davis became enamored with the property and purchased the house and grounds from the owner, a Mrs. Dorsey for the price of $5,500 in 1879. The original was damaged by Hurricane Katrina. In the “Library Pavilion” Davis would write the majority of, The Rise and Fall of the Confederate Government. Ten years after purchasing Beauvoir, Davis was dead. 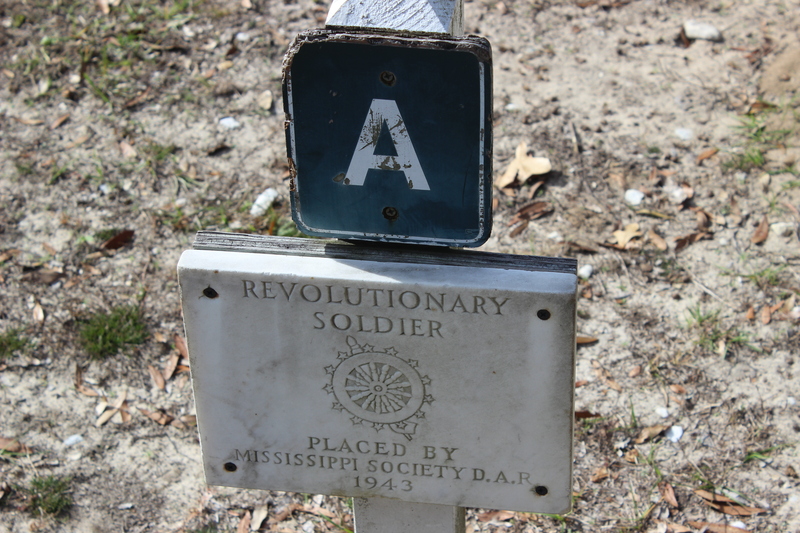 Although not buried on the property, hundreds of former Confederate soldiers are. Yet, there is one Davis is interred on the property now. The Davis that is buried there is what struck my interest. With no surprise, according to my wife, I had researched what history sites were in that area of Mississippi and had circled Beauvoir as a place of interest. I did not realize that the friends we were visiting had also planned to take me there because they also knew I am a history nerd, err, enthusiast. What had caught my attention and serves as the basis of this post is the other Davis. 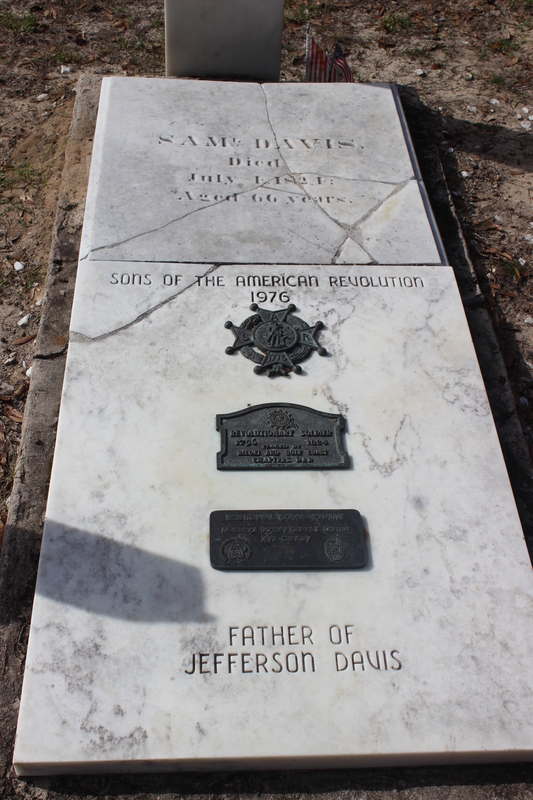 Samuel, the father of Jefferson Davis, lies buried in the cemetery. Originally buried below Vicksburg, Mississippi, the elder Davis’s remains were brought to the Gulf Coast to lie at rest at Beauvoir after the course of the Mississippi River was slightly altered. The Sons of the American Revolution were responsible for saving the remains and having them re-interred. 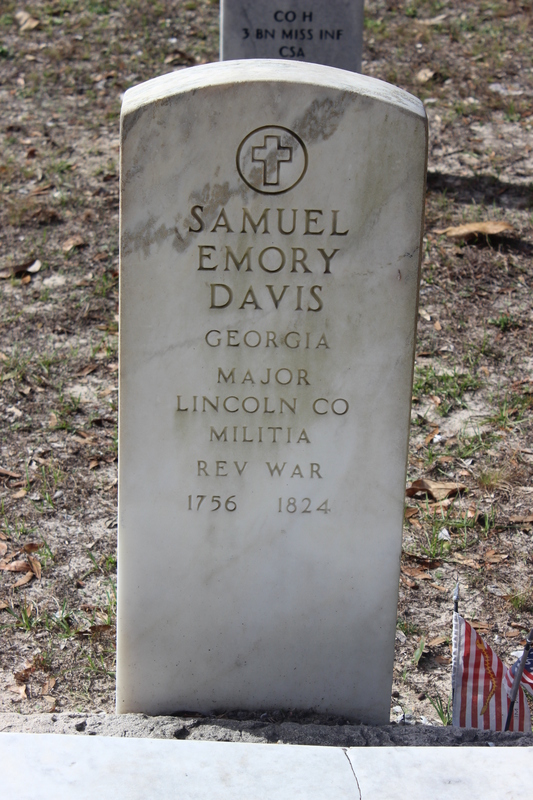 Samuel Emory Davis, born sometime around 1756, served, like his half-brothers in the militia of Georgia. However, the records available lead to the fact that he served most of the war in South Carolina militia forces. Furthermore, accounts, gathered by Rice University in conjunction with the Jefferson Davis Papers, have him serving in some of the major engagements of the American Revolution in Georgia, including the Battle of Kettle Creek on February 14, 1779 and the Siege of Savannah from September to October 1779, and lastly the Siege of Augusta between April and June 1781. A little more research led to the fact that Samuel Davis might have even raised his own mounted force which may have led to the rank listed on his tombstone; major. After independence, Davis moved his family to Kentucky, where Jefferson Davis was born, then to Mississippi, and finally to Louisiana. While visiting his oldest son, the old patriot died on July 4, 1824. Marker beside Samuel Davis’s grave stone. And from 1943 to this present day the former militia officer and father of the only Confederate president, lies in the Beauvoir Confederate Cemetery. Thus, the visit, which I am thankful for friends who coordinated it on a holiday weekend that Americans celebrate what we are thankful for, now leads to another thankful opportunity. More reading and research into the American Revolution. As I came to Beauvoir for the Civil War history connection. I left wanting to know more about the Davis that fought in the American Revolution. This entry was posted in Battlefields & Historic Places, Militia (Patriot) Leadership, Revolutionary War, Southern Theater, Uncategorized and tagged Battle of Kettle Creek, Beauvoir, Jefferson Davis, Mississippi, Patriot Militia, Samuel Emory Davis, Siege of Augusta, Siege of Savannah, Sons of American Revolution. Bookmark the permalink. Wow – that’s neat! I’m definitely sharing this blog post with a friend of mine who’s studying Jeff Davis. I found this information to be interesting as well as new information regarding the burial place of Samuel Emory Davis to be in Hollywood Cemetary. Another area of interest is that you mention he joined his half brothers in the cause? Does this mean one of his parents had remarried? I have some family information indicating his wife, Jane Cook, was a niece of Nathaniel Greene.